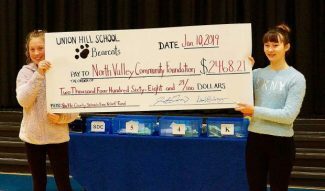 The Grass Valley Rifle, Rod & Gun Club Ladies Auxiliary (GVRRGC Auxiliary) recently presented a $500 donation to The Norah Foundation as their charity choice this year. For the past 10 years the Auxiliary has donated to worthy Nevada County charities. Tragically, in 2015, Candace and Richard Wilson of Penn Valley lost their infant daughter, Norah, just 15 days after her birth. They were deeply touched by the support they received during the time Norah was in a neo-natal intensive care unit in Roseville. Since then, they have devoted their lives to helping other families with babies in similar circumstances. In 2016, the Wilsons founded The Norah Foundation, with the mission of “spreading love and restoring hope in the lives of children and families facing health related hardships.” In addition to recently raising funds to install cameras at the beds of infants at Sutter Roseville Medical Center’s neo-natal intensive care unit, The Norah Foundation also offers support to families through hotel vouchers, food vouchers, Ronald McDonald House sponsorship, family outings, hospital care packages, new car seats, celebrations of life and emotional support. 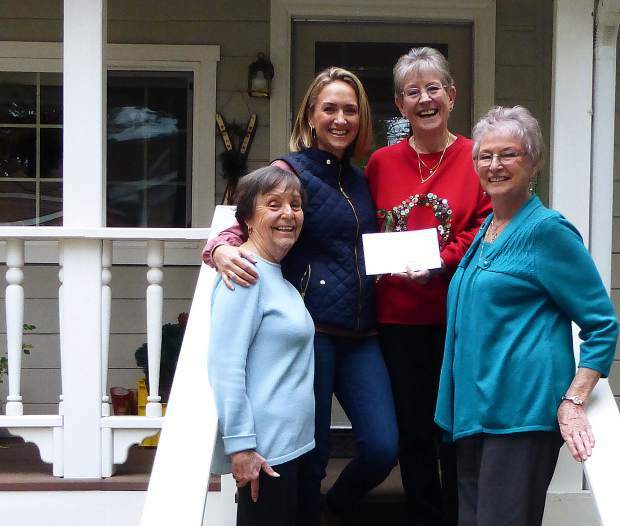 Pictured, from left, are Carol Tremewan, great-grandmother of Norah Marie Wilson (and GVRRGC Auxiliary past president); Candace Wilson, mother of Norah Marie Wilson and member of the Norah Foundation; Sandy Wood, vice president of the GVRRGC Auxiliary; and Ida Cartwright, secretary/treasurer of the GVRRGC Auxiliary. 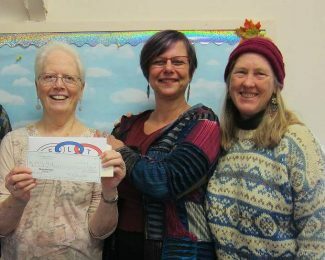 The Grass Valley Rifle, Rod & Gun Club Ladies Auxiliary (GVRRGC Auxiliary) recently presented a $500 donation to The Norah Foundation as their charity choice this year. For the past 10 years the Auxiliary has donated to worthy Nevada County charities. In addition to recently raising funds to install cameras at the beds of infants at Sutter Roseville Medical Center’s neo-natal intensive care unit, The Norah Foundation also offers support to families through hotel vouchers, food vouchers, Ronald McDonald House sponsorship, family outings, hospital care packages, new car seats, celebrations of life and emotional support. Pictured, from left, are Carol Tremewan, great-grandmother of Norah Marie Wilson (and GVRRGC Auxiliary past president); Candace Wilson, mother of Norah Marie Wilson and member of the Norah Foundation; Sandy Wood, vice president of the GVRRGC Auxiliary; and Ida Cartwright, secretary/treasurer of the GVRRGC Auxiliary.